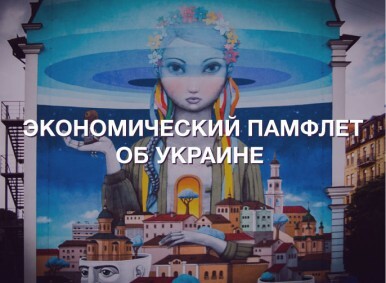 Еconomic pamphlet about Ukraine ⋆ News ⋆ Official website for Oleksandr Klymenko. The main assets of any economy anywhere in the world – are people. It was stated, for instance, by US President Barack Obama during a meeting of the UN General Assembly. He understands that the main assets of America – are Americans. Therefore, his country is rich, powerful, with high living standards. Unfortunately, during 24 years of independence Ukraine has not understood that its main assets are Ukrainians. As the saying goes «we have what we have», namely: destroyed economy, progressive corrosion of the state, socially decomposed society. There is no desire to exaggerate. According to Bloomberg, Ukraine is amongst the top five most “unfortunate” economies in the world (behind Venezuela, Argentina and South Africa). International rating agency Standard & Poor’s and Fitch literally “compete”, who will be the first in declaring about Ukrainian downgrade. In this situation investors are voting in the most obvious way – with the help of legs. They curtail their production and output representative from our country. We should not blame the events of the last two years, which were full of fateful and tragic moments. These upheavals, which the country had experienced, have only hastened the inevitable. In fact, Ukraine has been slowly dying since independence as a part of the global economy and the segment of the international division of labor. During 24 years Ukraine’s budget deficit has been extinguished by loans and credits. There were no structural reforms in the economy. 95% of our economy are the branches of the third and fourth technological ways: energy, old metallurgy, chemical industry, agriculture. These years we have imported an expensive high-tech products and exported cheap goods with low added value. The trade balance has almost always been negative. Our share of global GDP had fallen three times. The main reason for it – is intellectual degradation, the continuous fall of education quality and the “brain drain” due to the fact that there is no sense for business to invest in people and knowledge in the raw economy: during the last 10 years we have been the country with the lowest level of cooperation between science and industry in Europe. In fact, we have been going towards default for 24 years. Revolution and war have fueled and accelerated these processes. We have not created new economy, while the old one has collapsed overnight – “administrative border” in Crimea and demarcation line in Donbas have torn the old economic ties. The economy has reflected instantly. During the year the national debt has grown to 90% of GDP and budget revenues in dollars fell by half. According to the World Bank, concerning the per capita income we have “fallen” down to 105 place in the world and are located between Jamaica and Belize. In any case we should not consider it for pessimism. It’s just a necessary recognition of reality. It is the true, which, as they say, hurts. We do not make a course without knowing the starting point. Where exactly can we go with these starting points? Different experts made conclusion that there are 4 cases of possible economic scenarios for Ukraine. First scenario. “Smoldering crisis”. Alas, plethora generations of Ukrainian politicians are used to shift the current problems to future generations. They carried out only chaotic and temporary measures. Current government is not an exception. If there is such course of events in the nearest future, our way will be the way of Greece. In particular, there will be smoldering economic crisis with periodic relief due to foreign loans. How long will it last? If the situation continues for another few months, international partners will turn away from Ukraine. They will be disappointed in our inability to do something in a difficult situation. The consequence of the desire to avoid responsibility will be a technical default of the country, and then – a series of corporate defaults of major domestic corporations. Second scenario. “Ukraine is pledged to the lenders”. It is aggravated version of the previous possible scenario. When the national debt reaches 100% of GDP (currently there is 90%), when the budget deficit rises up to 15%, there will be an actual dismantling of the economic, and then state sovereignty by foreign players. Do you want to know what is it? Look through the Argentine history, starting with 2000 year. If you apply this story to our country, Ukrainians can expect for further depreciation of the national currency, payments crisis, primarily in the public sector, the increase in social tensions. The most important issues of our lives – the principles of the building of the economy and national institutions – will be solved by external managers. It will be Banana Republic without bananas. Third scenario. “State collapse”. It is the worst scenario. Prolonged war, together with the bankruptcy of the state will make government institutions incapacitated. Ukraine will not have enough money not only to social benefits, but even to protect its borders, to maintain order in the streets and print new passports for citizens. Such situation, of course, will create conditions for the disintegration of the state as such. Its existence will have any sense. For our neighbors it means the flow of refugees and the additional socio-demographic pressure (both for the European Union and Russia). There is also fourth scenario – “New Economy”. It is the most desirable course of events. However, it is really difficult to implement it. According to him, Ukraine will be able to build its economy on new, high-tech industries, to significantly reduce the level of “shadow” economy, eventually overcome corruption, firmly occupy its own niche in the world markets. The scenario seems to be improbable, but why not? Do you remember Israel? The young state under the conditions of long war has created an advanced economy. We have all they had. In addition, we have natural wealth, which they did not have. 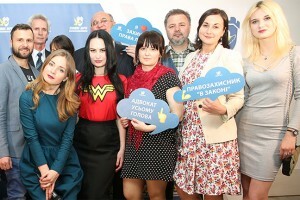 There is a basic condition – Ukraine should create its start-up capital itself. Nobody will raise a potential competitor with the help of their loans. What should we do to implement this scenario into a reality? We should not follow world trends, but we have to anticipate it. Our economic policy should be adequate to the realities not only of «today», but of «tomorrow». Nowadays, the world is on the brink of a new technological revolution. Ukraine must be in its forefront, rather than on the periphery. The state should support the highest priority clusters, which will become a driver for the economy. According to the experts, development will be irreversible, if the share of high-tech production in the national GDP exceeds 5-7%. The drivers of the national economy could be modernized agricultural sector and processing industry, IT industry and aircraft industry, high-tech manufacturing and alternative energy, the development of transit infrastructure. The development of these sectors will allow us to produce unique high-quality branded products «made in Ukraine», which have the potential to become the foundation of the global technological revolution. Ukrainian economy has always been export-oriented. This fact made it vulnerable and dependent on external markets. Due to the development of innovative economy, we have to refocus on exports of high-tech products. This will help Ukraine to strengthen itself in the global market as one of the key players. Our trading interests must be dispersed in different parts of the world. Thus, we can say that Ukraine is open to the world. We believe that each country is our potential partner. Why do we limit the choice due to political interests? We have to be present both in EU and in Russia, and in any fast-growing markets. We must restore and support mutually beneficial cooperation with Kazakhstan and Belarus, with India and China, and all those countries that are perspective in terms of expanding our expansion. In foreign economic policy, we need to be more pragmatic than romantic. Ukraine can and should regain the status of the world’s breadbasket. In order to do this, it is necessary to develop our agricultural potential correctly and competently in line with global trends. Traditions of the Ukrainian village in combination with new technologies and unique features of our land and climate – are guarantees that the goods of Ukrainian producer can be present in markets all over the world, from Europe to China. Ukraine is capable to enter the top-producing countries and exporters of agricultural and food products. It will solve the problem of hunger in the world and ensure global food security. Yank for success through the development of innovative economy is possible only if we throw off the ballast of corruption, which is pulling the bottom of the whole country. Ever since the collapse of the USSR, in case of absence of formed political and economic institutions, corruption has become, in fact, the only mechanism of survival and a kind of distorted model of success for Ukrainians. It’s time to replace this model and to transform it into effective, stable, legal institutions. We must fight against corruption with the help of economic development, tax cuts, electronic services and remote control, instead of lustration and administrative methods. State – is the creator of the rules of the game and the referee. Its function – is to create opportunities, but not total control and issuing of prescriptions. If the official has no leverage in hid hands, there is no temptation to use it for personal purposes. The main engine of innovation economy can and should be human asset. Science, education, infrastructure – are the foundation of the new economy, the basic conditions for the modernization of the state. School education of our children should be a priority. Each new power in Ukraine want to rewrite the curriculum, to invent new “genius” reform, for instance, autonomy of schools. We need standards for schools. We need a tradition, but not a chaotic threshing about. We have no right to put questionable experiments on our future. We must aspire to ensure that a Ukrainian school diploma will be the world standard of qualitative education. Our education system can and should be the best! This is the key to a successful future for our children, to a successful future for Ukraine! Professional education standards of higher education should be integrated on request of innovative economy. Close cooperation and coordination between employers and higher education institutions, participation of the private sector («ordering» of the specialists) will allow to refocus the education system to modern professional standards and practices. In its turn, it will provide a new generation of Ukrainians with the opportunities for self-realization and demand in the profession. The government should be ready to open the doors to young people into the social elevator and go up. They will decide, which floor do they need, by themselves. The success of each person – is an opportunity to realize yourself in your favorite business, to receive decent and fair wages, to ensure the comfort and safety of your families, educate your children with confidence in their happy future. The success of the country – is in the success of each of its citizens. *** Nowadays, all things I have described seems to be unrealistic, namely, another utopia, economic pamphlet. You can not ignore the reality if it is unpleasant. You can not be offended by the truth, if it hurts. We need to think and talk about what can happen and how to avoid it. We have to believe that there is always one factor that may break all forecasts and estimates at any moment. This is – Ukrainian people. We are able to create a successful and powerful country. In spite of all our shortcomings, we are able to surprise the skeptics. I believe that we can do it this time.